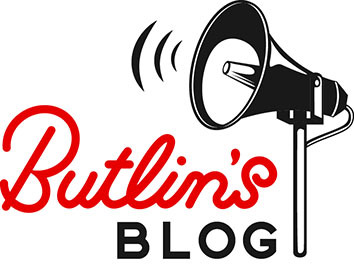 This year we had our very first Astonishing Family Science Weekend at Butlin’s Minehead, and we were so excited that we just had to send some of our team to take part in the fun. So we asked them to write for us about what they got up to, and here it is! Here at the Butlin’s Contact Centre we were all intrigued to see what the Science Weekend was going to be like, so I gathered up some team members who jumped at the opportunity to go, and just like that our adventure to Minehead had begun! The first thing we all wanted to see was the Skyline Pavilion. It had undergone an amazing transformation and been split into three activity domes, with each dome having its own unique and interesting activities. One of the things I feel really enhanced the whole experience was this complete transformation of the resort, including the redcoats, who rather than wearing their traditional uniform were wearing white lab coats. Next we went to the activity that I was most excited for, L’Oréal lip balm making! This was very popular with everybody and even adults were joining in with the fun! Making our own balm involved 5 important steps, and we got to choose the colour, flavour, and even how moisturising it would be! I personally made a pink mango flavour lip balm. Everybody I have shown has been incredibly jealous as it smells and feels so yummy! We were involved with making the balm every step of the way, even choosing our favourite pot to take it home in! All of the live shows on the break were ticketed which was fantastic as everybody had the opportunity to see everything on offer. At 4 O’clock on Saturday we went along to ‘Animate It’ with Aardman. This was a really fun and interactive show all about stop motion animation. They even made an animation while we were watching, including us the audience! Brainiac Live was the highlight of my weekend. The Brainiac show provided a fun way to enjoy science by mixing it with hilarious entertainment. Staying true to the roots of their show they started by doing an experiment called ‘What can you run through?’ They had a special frame with several different materials attached that the presenter had to try and run through. The whole audience got involved by cheering along, depending on whether or not we thought they could run through it. Next up was the electric fence, where we were shown how an electric current can run from one person to the next. We learnt that by standing on a material such as polystyrene, which is an insulator, you can stop a current from giving you a shock. We were then treated to some exploding balloons filled with different gasses, and we all had to vote for the gas we thought would cause the loudest bang! There were so many more activities to get involved with so we’ll definitely have to go back next year. I don’t think you can quite believe how astonishing this break is until you experience it.